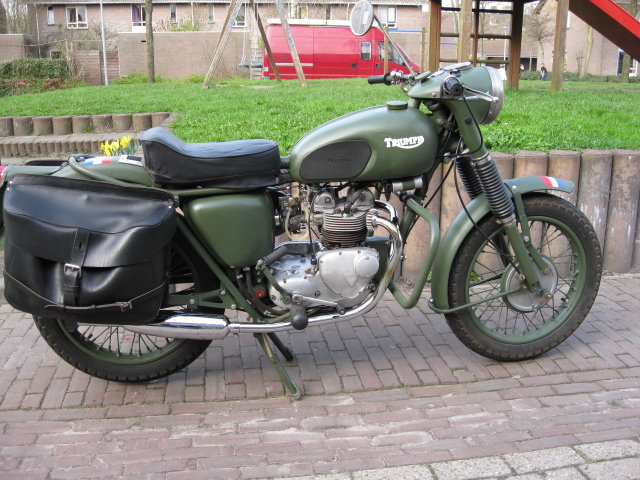 Triumph 3TA army bike. These where specially built for the Dutch army in '66 and '67. 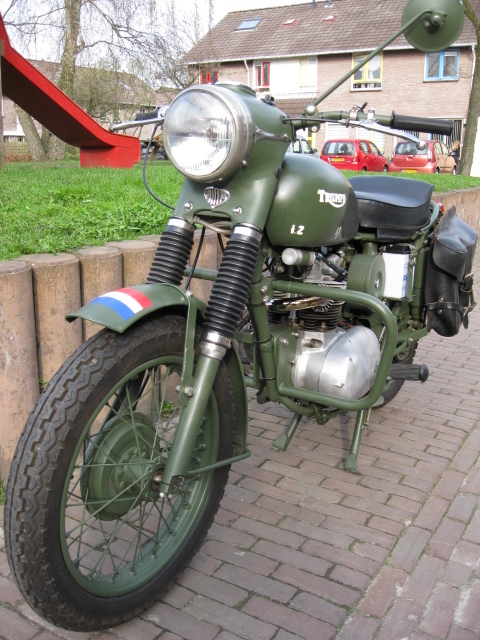 This one is totaly restored and in unbelievable condition! 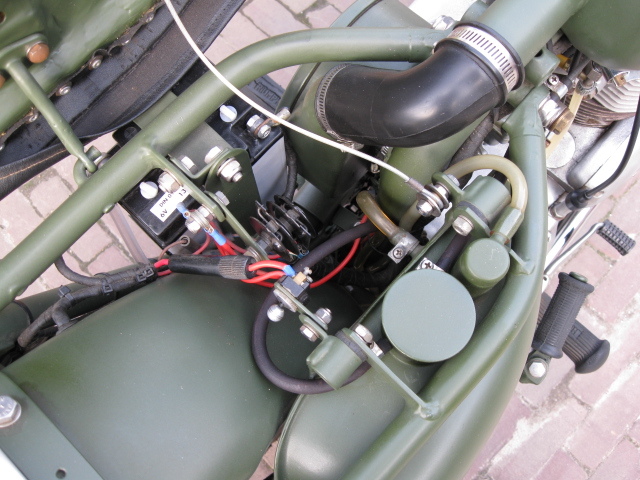 All the green parts are powdercoated Engine is rebuilt and converted to modern fuel (without lead) List of parts changed for new ones is too long to state here. Must have cost a fortune...! 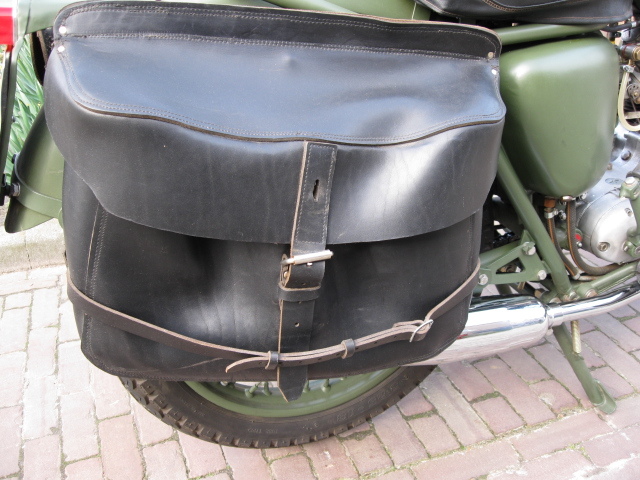 Has run less than 500kM's after restauration. Comes with Dutch registration and 2 boxes of parts.